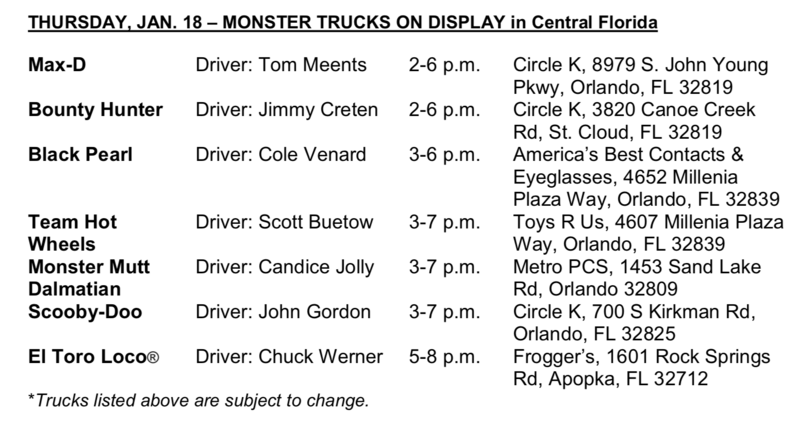 Monster Jam 2018 is back in Orlando this weekend! The world famous family show will be at Camping World Stadium in Orlando on Saturday, January 20, 2018. Gates will open at 5 p.m., with opening ceremonies beginning at 6:30 p.m. and racing starts at 7 p.m. Don’t miss the The Monster Jam Pit Party, which will take place just before starting at 2:30-5:30 p.m. This time gives fans unprecedented access to the Monster Jam trucks and drivers. Take photos, meet the drivers and have some pre-show fun. 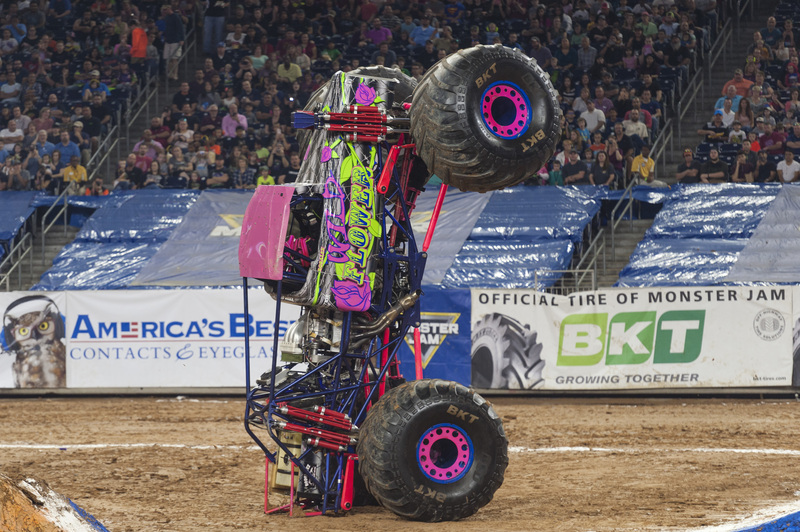 I have attending Monster Jam® on numerous occasions, and the year I sent 5 guys to enjoy the Tampa show for themselves. They were highly entertained by the jaw-dropping displays and gravity-defying feats. With massive trucks flying through the air and doing tricks not seen anywhere else, it is pure entertainment for kids and adults of all ages. The even will feature some of the most recognizable trucks in the world including Grave Digger®, Max-D, El Toro Loco® and many more. 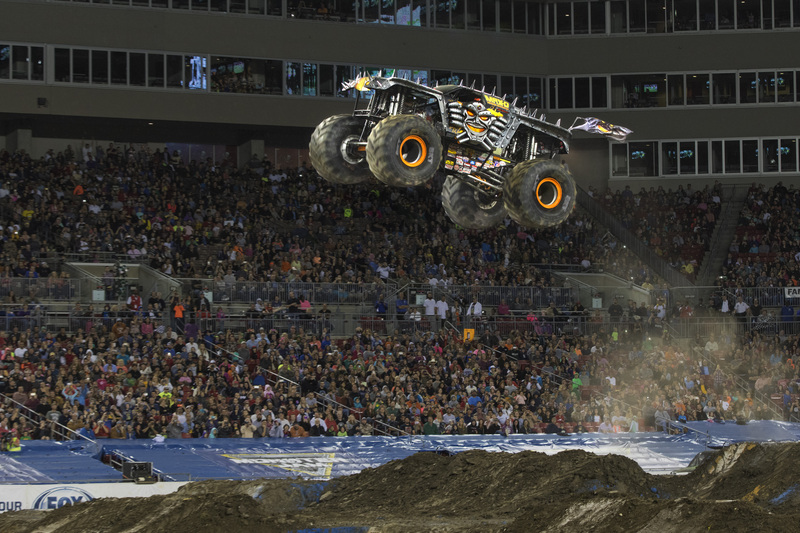 You will enjoy watching the world-class drivers push these perfectly-engineered Monster Jam trucks to their limits in Freestyle, “2-Wheel Skills” and Racing competitions. I promise this will have all fans on the edge of their seats. 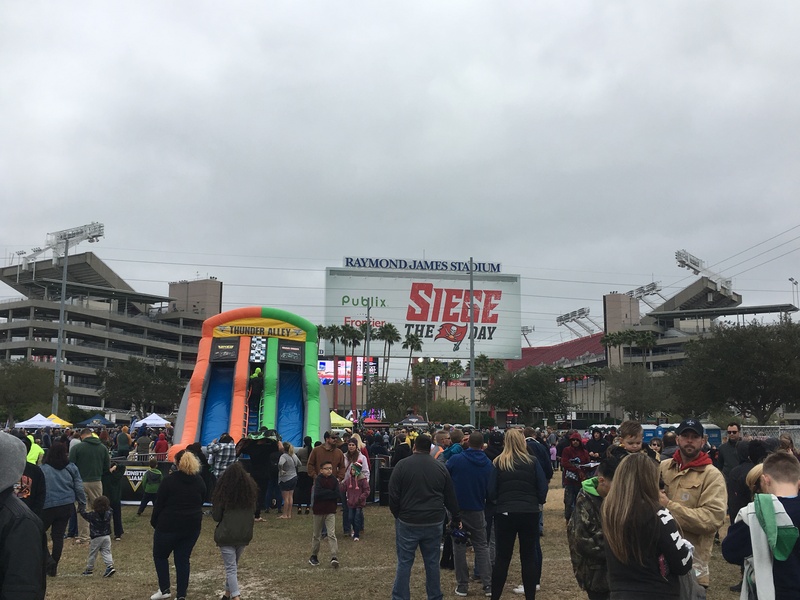 Get to the event early and join the The Monster Jam 2018 Pit Party. Happening just before the show from 2:30 PM – 5:30 PM, this time provides special access to the Monster Jam trucks and drivers. This is a very unique experience in the world of motorsports giving fans access to see the trucks up close, take pictures, meet the drivers and get their autographs. 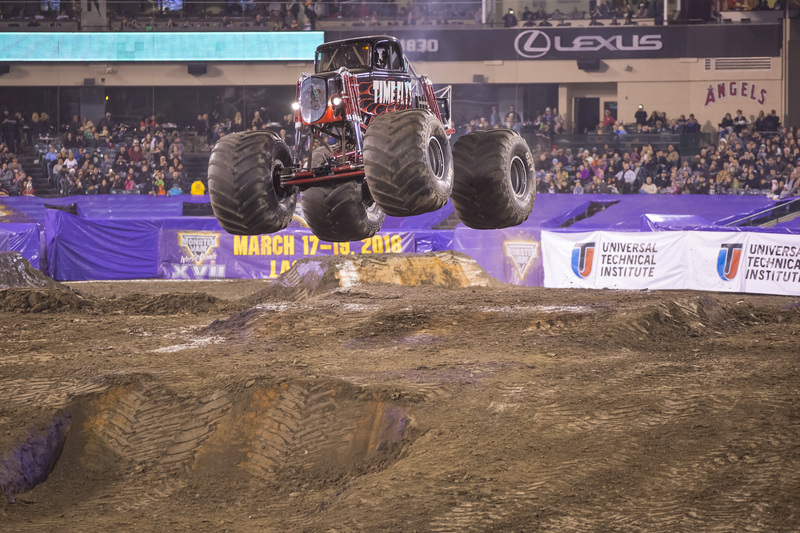 What is new for Monster Jam 2018? New in 2018, the Pit Party Early Access Pass is available to every fan who purchases a ticket to the event. Quantities are limited, so GET THERE EARLY! It’s a great opportunity for everyone to have the chance to experience this unclose and personal time. The pass provides early entry into the Pit Party from 1:30 PM – 2:30 PM and serves as the regular Pit Party pass from 2:30 PM – 5:30 PM. 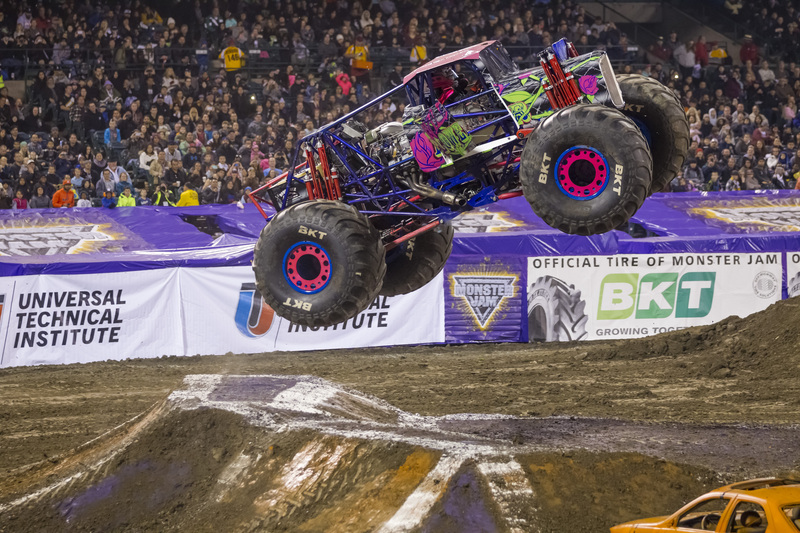 Want more information on a Monster Jam? *Trucks/drivers subject to change without notice. I was invited by Feld Entertainment to attend Monster Jam to share this information with my readers. All opinions are my own. Hey Buddy!, I found this information for you: "Monster Jam 2018". 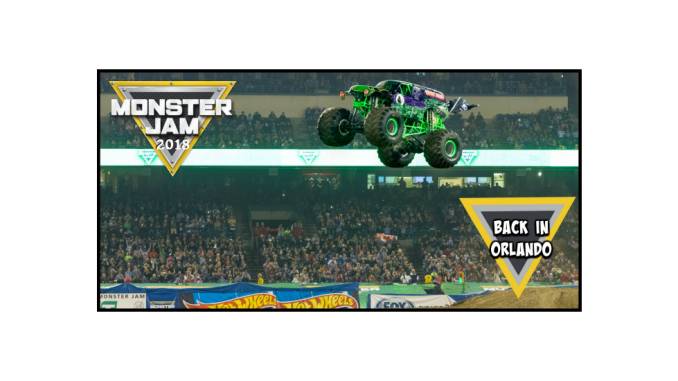 Here is the website link: https://www.trippinwithtara.com/monster-jam-2018-orlando/. Thank you.